I’m glad to tell you that development of Atomic Super Lander is moving along pretty nicely, and we are hoping to ship the game soon. One of the last things missing from the game was an achievement system: something to give the player feedback on their career development as a cosmic bomberman. 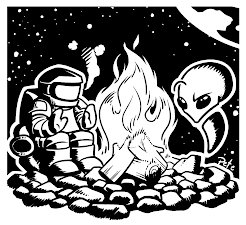 Our initial idea was to reward the player's skill and dedication with unique collectable cards, but after a while the idea of simple achievements alone started to feel a bit too ordinary. Then someone had an out of the cardbox idea: what if you could play a mini-game with the achievement cards, like build a card house out of them. 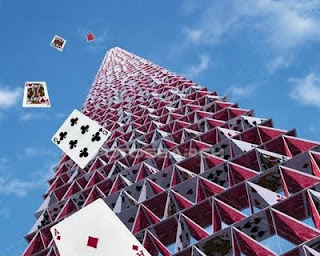 The card house could be built and destroyed by the player and the more cards you had the more elaborate the house would become. Also building a card house in zero-g environment could be even more fun. 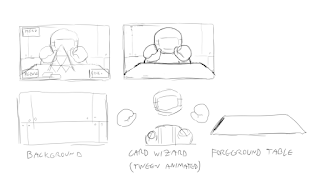 Although the game itself is completely 2-dimensional we wanted the card house to have a 3D feel to it, so that individual cards could float around the room and towards the camera. At the same time we wanted the card room to fit the graphical style of the 2D gameplay. 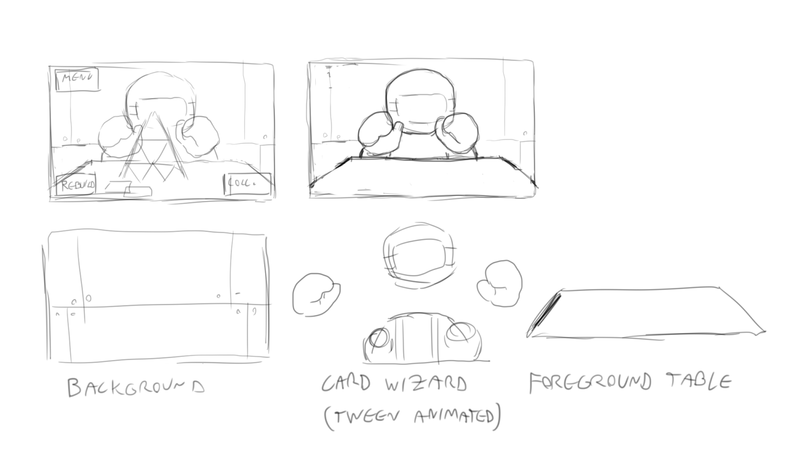 The solution was to combine 2D backgrounds, and 2D animated character with "real" 3D cards rendered on a perspective camera. We ended up ditching the idea of the player building the card house in favor of simplifying the user experience. Hence we introduced the mysterious Card Wizard! This character would build the houses for you with his inexplicable space magics. You could then poke and punch the creation as much as you liked. Part of the fun in cardhouses is to watch them fall to pieces, especially when someone’s carefully built them. After a while it became evident that building a steady card house in physics based game engine is every bit as hard as in real life. Still we didn't want to "cheat" or "freeze" the card structure at any point: instead we wanted it to be naturally stable and have organic feel to it, so it would react to the smallest actions of the player in a realistic manner.